ACE FILMMAKER DANIEL ADEMINOKAN GIVES ACTRESS STELLA DAMASUS ENGAGEMENT RING? It is longer news that ace filmmaker,Daniel Ademinokan and estranged wife, Doris Simeon has parted ways. What is new however is that Daniel seems to have moved on, starting a new relationship. 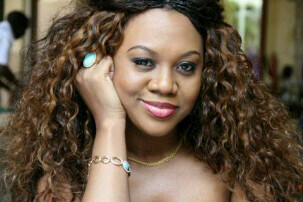 Daniel is alleged to be having a sizzling romance with top actress,Stella Damasus. The duo are said to be a hot item on Abuja social scene. The duo have been spotted together at several events that people are begging to wonder if the two showbiz stars have found love in the arms of each other. <b>“ They were so into each other ;they are always at social functions together and I even spotted Stella wearing an engagement ring,”</b> close source revealed. Informants divulged that Miss Damasus infrequent visits to the Abuja abode of Daniel is listed as one of the cover for the low profile romance. Those in the know of the way the lovers carry on confirmed, except an unexpected factor comes into the equation- Stella is all set to replace Doris as the director's second half. Sources claim Stella cares for Daniel like a 'dutiful wife'. Meanwhile,Stella’s third finger is currently decorated with a ring as plans enter another level. According to sources, some of Daniel’s very close friends knew of the engagement and are helping to keep it under the carpet. It would be recalled that while the news of the troubled marriage between the estranged couple filtered the air,Stella Damasus has denied having any affair with Daniel and dissociated herself from the ugly story of the breakup in the marriage of the young couple,who a lot of people never imagined will go their separate ways,going by their lovey dovey lifestyle when the going was good. 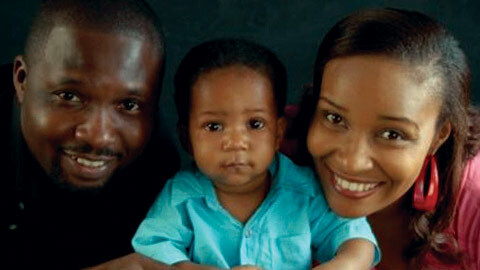 Damasus has been linked romantically with Richard Mofe Damijo and other personalities. After she lost her husband, Jaiye Aboderin to the cold hands of death; years after, she got married to Emeka Nzeribe in a traditional marriage but the union lasted for nine months. Effort to speak to Stella was futile as she didn't pick our calls when we called her Glo line.